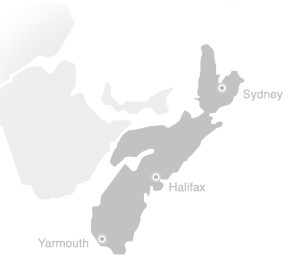 The Eastern Shore stretches from the edges of Halifax all the way to the Canso Causeway, the entry point to Cape Breton Island. It's rugged coastline and glorious beaches provide the perfect setting for outdoor adventure. With an abundance of sea kayaking, hiking, birding, coastal activities and four seasons of fantastic surfing, the outdoor enthusiast will feel like they're in heaven. The pounding waves at Lawrencetown Provincial Beach and Martinique Provincial Beach are a haven for surfers, with plenty of surf schools to welcome novices. Sandy beaches like Clam Harbour are great for building sand castles. Engage your competitive, creative spirit at the annual Clam Harbour Beach Sand Castle Competition. The small fishing village of Canso plays host to the Stan Rogers Folk Festival, one of the provinces biggest and most popular annual music festivals, attracting over 10,000 spectators each year. From traditional Celtic music to country, blues, rock, bluegrass and folk music, the Stan Rogers Folk Festival is guaranteed to leave you humming a new favourite song. Working village museums such as Sherbrooke Village and Memory Lane Heritage Village provide a glimpse back in time. A visit to J. Willy Krauch & Sons will give you a taste of how they make their world famous smoked salmon. Hot and cold smoked salmon infused with lemon, garlic and maple flavours are sure to delight your palate.